A film produced by Brendan Fletcher and Directed by Paul Bell. Mother’s Day is 52 minute documentary that chronicles the journey of an Aboriginal man on a two year wait for his second life-saving kidney transplant. Screening on ABC's Australian story November 2nd 2015 and on QANTAS inflight entertainment. 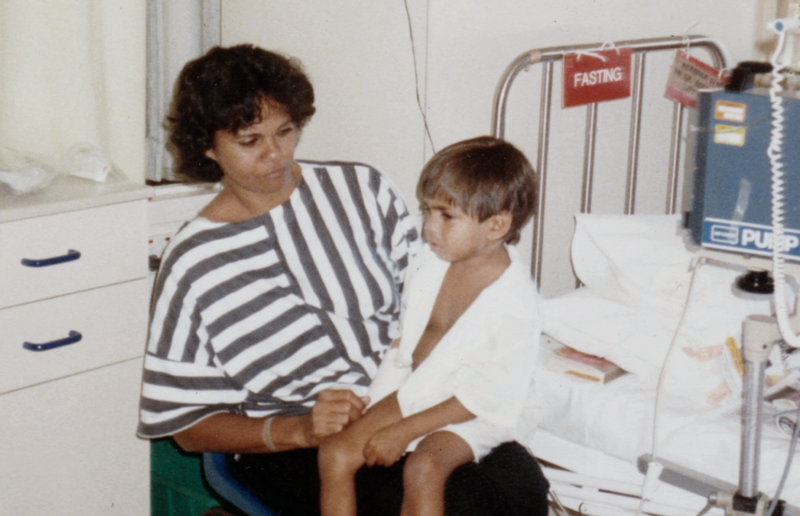 At 4 years of age, Ronno Morgan was an Aboriginal boy in the remote Kimberley with kidney failure so severe he was unlikely to see his 5th birthday. His mother Maria donated her kidney and saved his life. Twenty five years later, Ronno is a father himself and has made Maria a grandmother. But he is shocked to learn that his mother’s kidney is now failing and his life is threatened. Again. He needs another kidney transplant to survive. His family goes into crisis mode to once again save Ronno’s life … but there are complications. This is a compelling and inspirational story about the power of family.